South Korean technology giant Samsung has unveiled its latest processor that will be used in budget and mid-range smartphones. 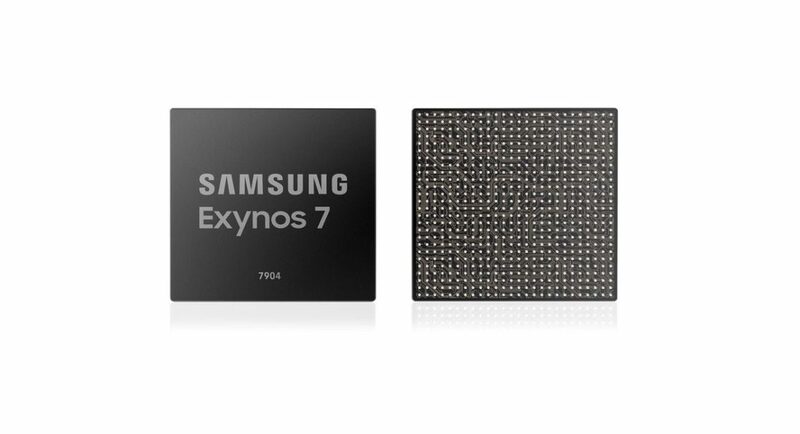 Samsung’s latest SoC is called Exynos 7904 and according to the company, it is based on ARM’s A73 cores from 2016. So the chipset uses the same cores as MediaTek’s Helio P60 mid-range processor but is supposed to come with a configuration that will make it work more efficiently. Prior reports have suggested that the Exynos 7904 processor will power the Samsung Galaxy M20 smartphone. Now that the company has launched it just before unveiling its Galaxy M10 and Galaxy M20 smartphones, those reports are seeming to be credible. Samsung’s Exynos 7904 has two Cortex A73 cores that are clocked at 1.8GHz and the rest of the six Cortex A53 cores are clocked at 1.6GHz. All of these are arranged in the big.LITTLE architecture. While the two Cortex A73 cores are the high-performance cores that take care of the performance-related tasks, the other six cores are dedicated to taking care of all the background operations. Samsung has said that the SoC not only guarantees speed while performing everyday tasks but carries them out with focus and efficiency. The newly launched chipset is made of 14nm process and comes with an image signal processor that can support up to a resolution of 32MP in terms of a single sensor, and can hold up to three cameras at once. We should mention that the processor has support for elements like ultra-wide angle sensors and depth sensors. For video playback, Samsung’s new Exynos 7904 SoC will be compatible with UHD playback of up to 30fps and it will support full HD playback of up to 120fps. The chipset also has support for the widescreen resolution and it is worth noting that it is compatible with a screen resolution of up to full HD+. The latest processor provides up to three-carrier network aggregation and has support for Cat.12 LTE network speeds. For this, a bandwidth of up to 600Mbps is permitted by the chipset. We would just conclude by saying that all of this certainly means a number of new features that we can expect to see in upcoming mid-range smartphone models by Samsung.